City Hall, 5 Feb 2018, Port Moresby: The Ninth session of the World Urban Forum (WUF) will be held in Kuala Lumpur, Malaysia from the 7th to 13th of February 2018. The National Capital District Governor Hon. Powes Parkop and his delegates will represent Papua New Guinea at this meeting. Parkop will attend high-level discussions and dialogue during the forum, while sharing his progress on the Participatory Settlement/Slum Upgrading Project. The forum will provide opportunities for modernization of urban development in Papua New Guinea. The World Urban Forum (WUF) is the world’s premier conference on sustainable urban development, held every two years in different parts of the world. The theme of the Ninth session of the World Urban Forum (WUF9) “Cities 2030, Cities for All: Implementing the New Urban Agenda”. The schedule features more than 500 partner events as well and high-level, Ministerial and Mayoral dialogues and roundtables and a special series of stakeholder meetings. WUF9 aims to provide a great opportunity to garner the efforts of all relevant actors to deliberate on, identify and commit to implementation of concrete solutions for the transformative commitments made in the New Urban Agenda. “For the last twenty years since 2002 we have been discussing and talking about Settlements Upgrading without much progress. Today on the eve on the 9th World Urban Forum, I want to assure our people and our nation that I am focussed and committed to converting all these talks, policies and strategies into action as part of fulfilling my key priority areas for the city, to upgrade all settlements to suburbs and modernise the Motu Koitabu Villages and a City that is safe and free from all forms of violence. I am very determined and I am clear of the outcomes and how to achieve them”, said Hon. Governor Parkop. 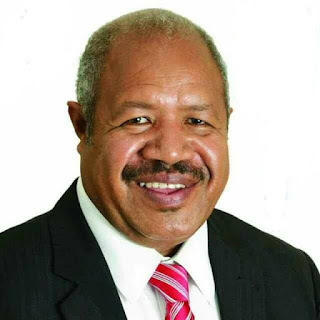 He continued saying that, “if we change the physical and social conditions of our people, by converting settlements to suburbs and modernising our villages, we will unleash a great positive energy and desire in our people to lift themselves and lift our city to the 21st century and make Port Moresby the most liveable city in the Pacific”, he said. Governor Parkop said, “At the Participatory Slum Upgrading Project 1 (PSUP 1) in 2002 to 2010, we just did case studies. For PSUP 11 between 2010 to 2013, we worked on the policies and strategies. Now we will do the PSUP 111 and the focus is on implementation. We had three pilot projects that were to be implemented as a case study but these projects have failed. One was in Jiwaka, Faniufa in Goroka and Taurama Valley in NCD. So after 20 years, we have just talked and talked but without any real time action. We now have solid strategy in place that need financial and technical support. And we are ready to implement”, he said. A wide range of experts will attend the Forum from national, regional and local governments, non-governmental organizations, community-based organizations, civil society groups, academia and media. The Executive Director of UN-Habitat, Ms. Maimunah Mohd.Sharif said, “this forum is a platform where people from all walks of life share their experience of finding homes, jobs and lives in urban spaces around the world and a chance for some of the world’s most marginalized to highlight their experiences in being denied some of the advantages cities posed”.